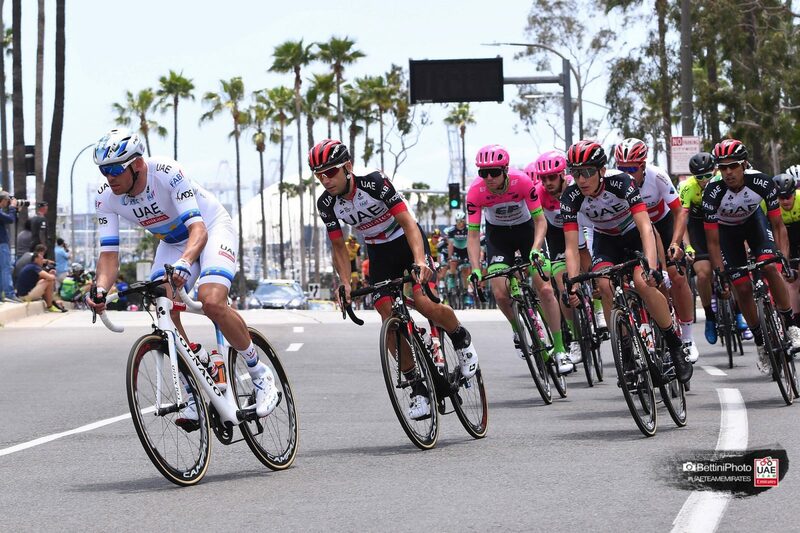 The Tour of California 2018 has started with a flat criterium in Long Beach of 134.5 kilometres. Fernando Gaviria (Quick-Step) outclasses a world class sprinters like Caleb Ewan (Mitchelton-Scott), the world champion Peter Sagan (Bora-Hansgrohe), Marcel Kittel (Katusha), and the UAE Team Emirates European Champion Kristoff. “I knew it would be difficult because it was quite an easy race and for me usually that is not the best” said Alexander Kristoff. “I came from too far back in the last 300 to 500 meters. In the end I didn’t have anymore sprint, but I got a descent place”. Tuesday 14th there will be the second stage from Ventura to the Gibraltar Road summit finish, 12 kilometres at 8%, in Santa Barbara. Santa Barbara will host the race for the 9th time, but for only the 2nd time finishing atop Gibraltar Road.